BIOS science educator Kaitlin Noyes shows "Dabble in Robotics" camp participants how to make an electrical circuit. A "Dabble in Robotics" camp participant watches an ROV demonstration. The Bermuda Underwater Exploration Institute (BUEI) opened in 1997 to “advance the understanding, appreciation and knowledge of the ocean and to encourage the protection and preservation of the marine environment." 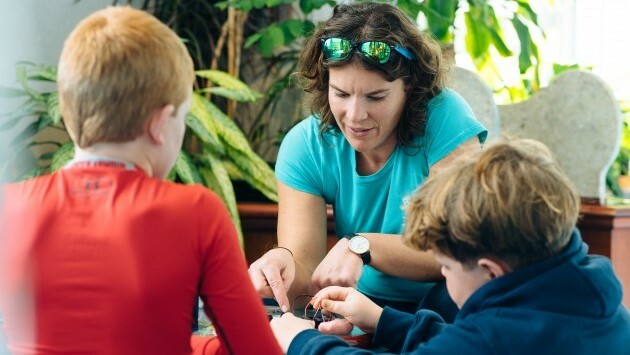 In December 2016 the BIOS Mid-Atlantic Robotics in Education (MARINE) program partnered with BUEI on a "Dabble in Ocean Robotics" camp offered at BUEI over the winter break. 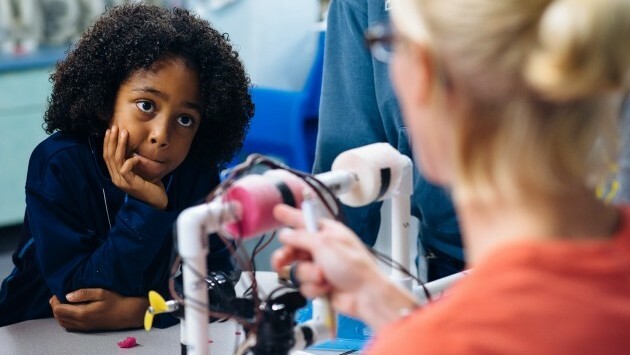 For five days campers investigated how and why scientists use remotely operated vehicles (or ROVs) in deep-sea exploration before embarking on a mission to design, build and test their own working robots.